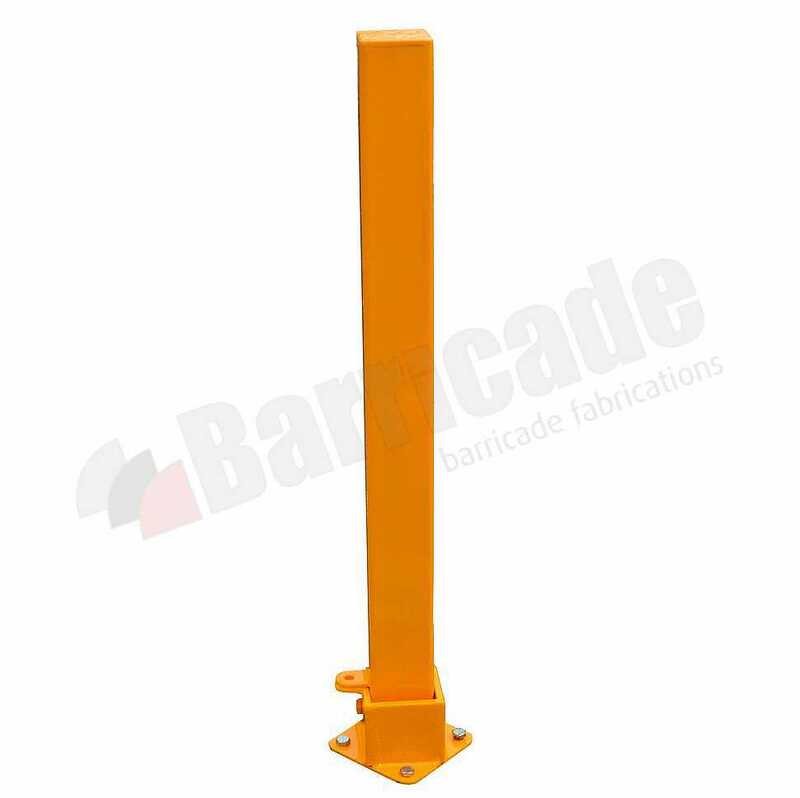 Barricade are trusted UK fabricators, suppliers and installers of bollards and security posts. Our product range includes static and removable bollards, telescopic and fold down bollards, anti-ram raid and high security bollards, as well as decorative and ornamental bollards. 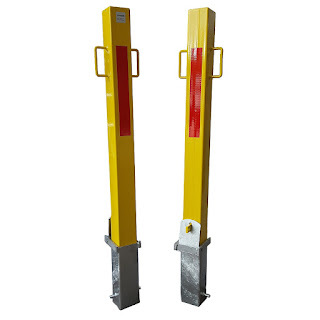 Security bollards are an ideal solution for traffic control, access control and perimeter protection. Security bollards are available in a range of materials including mild steel, stainless steel, recycled plastic, polyurethane, concrete and both hardwood and softwood timber. All of our bollards are fabricated in-house and pride ourselves on our high quality workmanship and reliability. As we are fabricators we offer very competitive prices and can usually beat any genuine like-for-like quotation. Our team of highly skilled steel fabricators can also design and manufacture bespoke bollards to suit any of our customer's specifications. 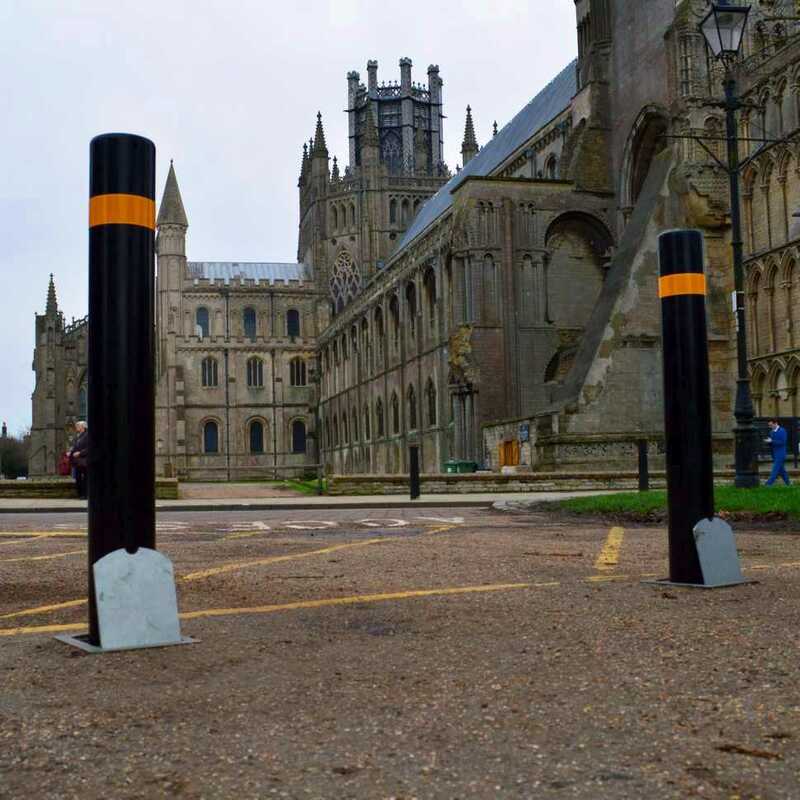 For further information on our bollards and security posts, or any of our other street furniture products or services, please contact the Barricade sales office on: 0845 900 2131. Alternatively, you can fill in our enquiry form on the contact page and we will be happy to help. We fabricate and supply bollards in a wide range of materials and sizes and the full selection can be found on our website www.barricade.co.uk. Mild steel bollards provide a simple and cost effective means of security and access control for high streets, retail parks, car parks and a multitude of other situations where a simple, secure and durable access control solution is required. Mild steel bollards are available in round or square variations with either root fix or base plate fix options. Our static mild steel bollards are galvanised as standard and can be powder coated in a variety of RAL colours shown at the bottom of the page. Reflective strips and lugs to accept chain can also be added to our bollards at an additional cost. Barricade fabricate and supply a range of stainless steel bollards which provide low maintenance, durability and strength all in one aesthetically pleasing unit. Stainless steel bollards provide an attractive and robust access control solution and are an ideal fixture at residential properties, commercial properties and supermarkets where an aesthetically pleasing traffic control solution is required. The post is available in either 304 or 316 marine grade stainless steel. Various head types and reflective banding options are also available for selection at the bottom of the page. Timber bollards are a great alternative to steel or plastic and are a great access control method for rural area. Barricade's hardwood and softwood timber bollards provide a timeless, attractive and natural looking access control solution to any rural or urban environment. Timber bollards provide a low-maintenance, durable and versatile security solution which are available in both static and removable options for when temporary access is required. Our oak bollards are manufactured using timber sourced from forests under conservation and re-plantation programmes ensuring an environmentally friendly product. European Oak has a moisture content of around 18 - 24% and will not absorb any more moisture, meaning that the bollards will hold their shape. Our timber bollards are available in fixed and removable versions. Recycled plastic bollards provide a cost effective and virtually maintenance free access control solution. The bollards are extremely environmentally friendly due to the posts being manufactured from 100% recycled plastics. Recycled bollards are an ideal means of edge protection and access control where a lower cost, highly durable alternative to steel, timber or polyurethane is desired. Our round recycled plastic bollards are available in 100mm, 120mm and 150mm diameter options. Banding options are available in either red, white or half red and half white. Various recesses can also be added to the posts. Barricade provide a wide range of 'Barricast' polymer and polyurethane bollards that provide a strong, durable and aesthetically pleasing means of low maintenance access control for both commercial and residential properties. Polyurethane bollards have an internal mild steel core and are an extremely durable, weather resistant and attractive access control solution which require very little maintenance once installed. A removable version and a telescopic version are also available on request. 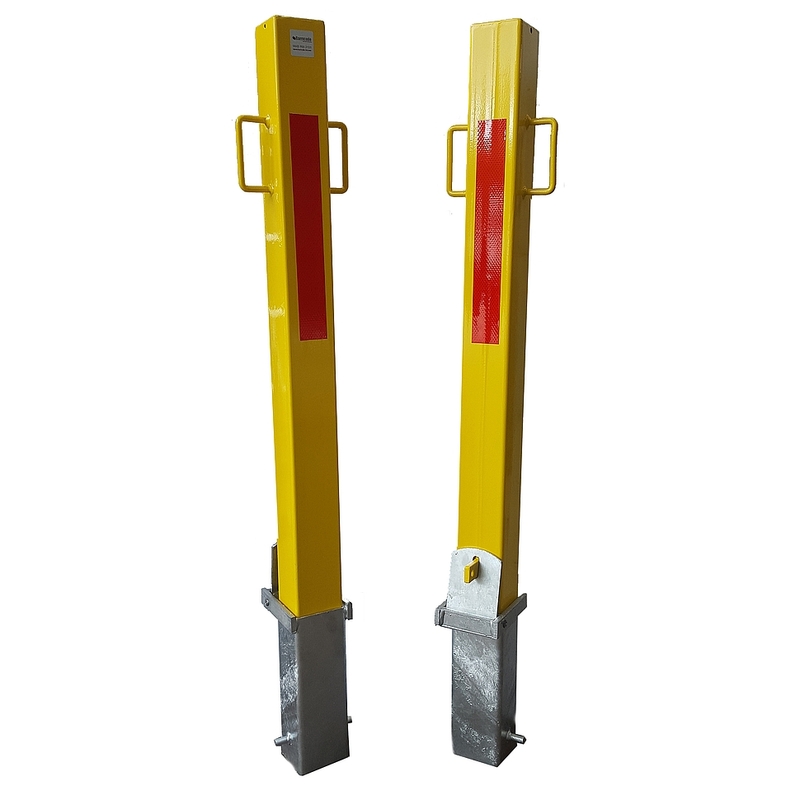 As well as static bollard variations, we also supply manually operated bollards. Barricade telescopic security bollards provide secure protection for either residential or commercial locations where access needs to be limited. Our retractable bollards are available in either mild steel or stainless steel and also come in either round or square sections. Retractable bollards are available in a wide range of sizes and diameters. The telescopic security post is raised vertically out of the ground socket and locks in the upright position with an integral 10 pin high security push button locking mechanism. When not in use the retractable post drops down fully into the ground socket and is covered by a flush fitting steel lid which prevents trip hazards and the build up of dirt inside the bollard socket. Mild steel telescopic bollards are available powder coated in various RAL colours or galvanised only. Removable bollards (also known as lift out bollards) sit in a steel ground socket embedded into concrete. The removable post is locked into position via a padlock (sold separately) in the upright position. The mild steel lid sits flush with the ground when the post is removed, removing the risk of trip hazards and leaving a neat surface. Fold down locking bollards and folding parking posts are a simple and durable security option for securing driveways, car parking spaces or other similar locations where a non-removable post is required to allow access. Folding security posts can be locked in the raised position with a padlock. Padlocks are not supplied with the post. The fold down post is a simple and effective security bollard that is ideal for reserving individual car parking spaces or for basic access control and also acts as a visual deterrent. The floor mounted base is secured to a prepared concrete foundation using M12 Anchor bolts.